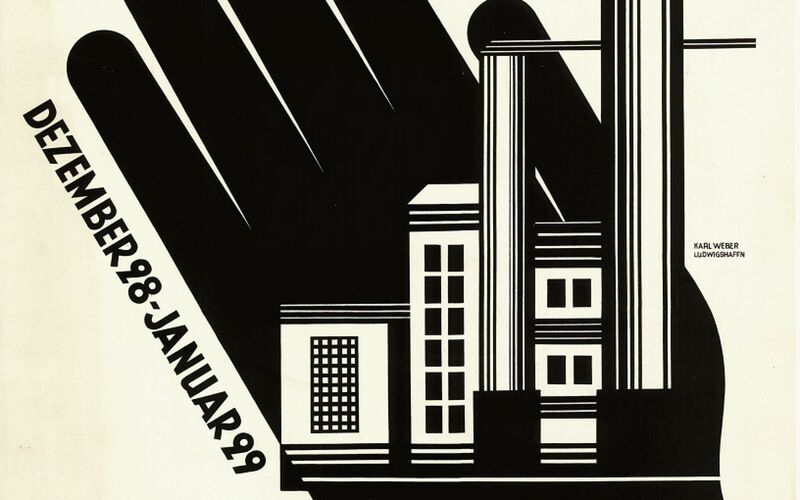 Following the main two-part exhibition Construction of the World: Art and Economy—1919–1939 and 2008–2018, the Kunsthalle is now presenting an exhibition in the rooms of our graphics collection, with a focus on Mannheim as an industrial city. Comprising works predominantly from the first half of the twentieth century, the exhibition reveals the extent to which an industrial aesthetic has shaped the self-awareness of the city’s artists and residents. Smoking chimneys, loading cranes at the docks of the large inland port, modern forms of electricity and not least the highway are presented as ubiquitous symbols of a modern, future-oriented metropolis. Posters also dominate the public space as a visually compelling means of advertising. As well as drawings and prints, the exhibition features an extensive selection of posters depicting industry, the docks, and means of transportation as the economic motors behind Mannheim's expansion.